The average American has saved less than 7 percent of his desired retirement nest egg. Even those fast approaching retirement age are not well-funded. Respondents aged 50 to 59 have saved an average of only $29,000 for retirement. Middle-class Americans think they need $300,000 to fund their retirement, but on average have only saved $20,000, according to a survey released by Wells Fargo & Co. Consequently, more than a third of respondents believe they will have to work during retirement in order to afford the things they want or just to make ends meet. “Middle class” is defined as those aged 30 to 69 with $40,000 to $100,000 in househoAld income or $25,000 to $100,000 in investable assets and those aged 25 to 29 with income or investable assets of $25,000 to $100,000. This is another blow for Generation Y. The percentage of Americans with at least a bachelor’s degree who are unemployed reached 5.1 percent, the highest figure since the Bureau of Labor Statistics started tracking the number in 1970. Meanwhile, national unemployment rose to 9.8 percent from 9.6 percent last month. Those with advanced educations have a massive impact on the overall rate of unemployment as that group accounts for 30 percent of the labor force. Unemployment levels for lower-educated individuals however, still remain much higher. Ten percent of high school graduates are unemployed and an even larger 15.7 percent without high schools diplomas are jobless. That’s particularly troubling when you consider that 30 percent of young people still drop out of high school in the United States. Creating jobs is obviously a priority for government and business to revitalize our economy. But the unemployment rate will remain high for years to come with so many unemployed workers who have achieved a high school diploma or less. Working in a call center does not seem to be the Millennial’s generation cup of tea. According to a survey released by Sodexo Motivation Solutions, only 5 percent of the respondents regard working in a call center as exciting. More troubling for call center management is that only 55 percent consider call center work negatively. And the nail in the coffin is that one in three of those surveyed who are currently seeking work would rather claim unemployment benefits than work in a call center. Some 40 percent of U.S. workers say they’re going to have to delay retirement because they can’t afford to stop working, according to a survey released this week by consultants Towers Watson. The biggest reasons cited were the losses suffered in their retirement savings and the need to maintain company-sponsored health care coverage. 33 percent of children have had pictures posted online from birth. 23 percent of parents uploaded their child’s pre-birth scan to the Internet. 7 percent of babies even have an email address set up by their parents at birth. Worried about your next generation of leaders? You’re not alone. According to a new survey about leadership skills from Pearson and Executive Development Associates Inc. (EDA), 57% of business executives said their leadership talent pipeline was the same or weaker today than it was two years ago. Seventy-five percent said increasing bench strength will be their top business priority for the next two to three years. Is this too little too effort? When asked what skills were needed to assume executive positions within the next three to five years, respondents cited strategic thinking, leading change, the ability to create a vision and engage others around it, the ability to inspire, and the ability to understand how the total enterprise works. But the respondents also agreed these were the very skills lacking in their current talent pool. The right successor must have just the right blend of personality, time and experience. And with a more complex and faster changing marketplace destined to be our future, the ability to deal with ambiguity and paradox is paramount. This combination requires innate talent plus development. Creating this competency can take years and many people just are not equipped to ascend to the role. And others who have the skills and experience aren’t willing to give up their personal and family lives in exchange for a promotion and title. 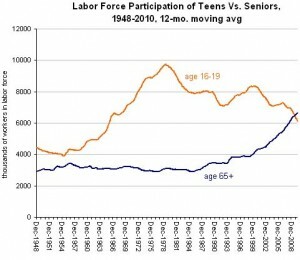 What motivated the Baby Boomers doesn’t motivate Gen X and Gen Y. In addition to lack of skills, a leadership shortage is all but a done deal. When the Baby Boomers finally decide to slow down or retire, pure demographics will stall the succession. Gen X, the succeeding generation, is little more than half the size of the Boomers. And many Gen X and Gen Y are putting family before careers. One more glitch: while three to five years may not be enough time to develop the next generation of leaders, it might also be too long in a competitive market. Many talented Gen X are tired of waiting for the Boomers to get out of the way. As the economy is rebounding, job offers will start coming in. It is already happening. Competitors and emerging companies are scouring the job market for talent and your next leader could be their target.